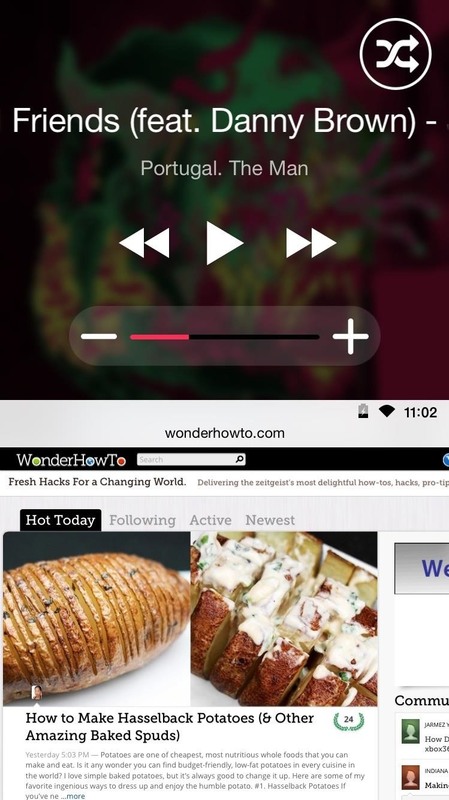 There is no built-in way, or any options in the iOS App Store, to customize the vacant top half of the screen that appears when the newer Reachability feature is triggered in iOS 8. However, there are many Reachability tweaks for jailbroken iPhones, one of which lets you use the feature on devices other than an iPhone 6 or 6 Plus. 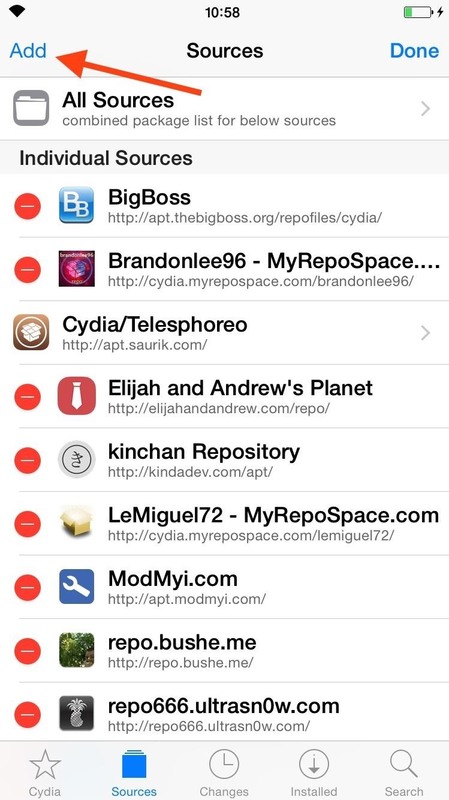 Now, thanks to developer s1ris (aka Andy), creator of the Spin music tweak, there's another great Reachability tweak to add to the growing list. 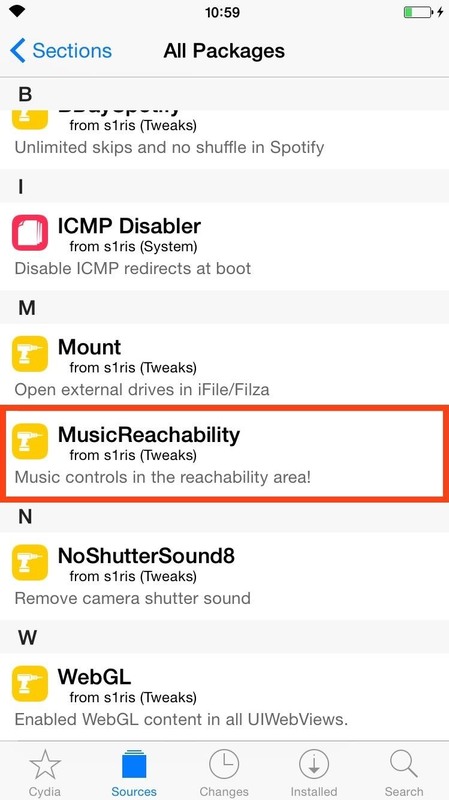 With his new project, MusicReachability, you'll be able to place your music player's controls and album art in the top half of the Reachability view, granting even quicker access to skipping, pausing, and playing tracks, as well as media volume adjustment. It's a great alternative to using the Control Center, which can sometimes be difficult to drag up. 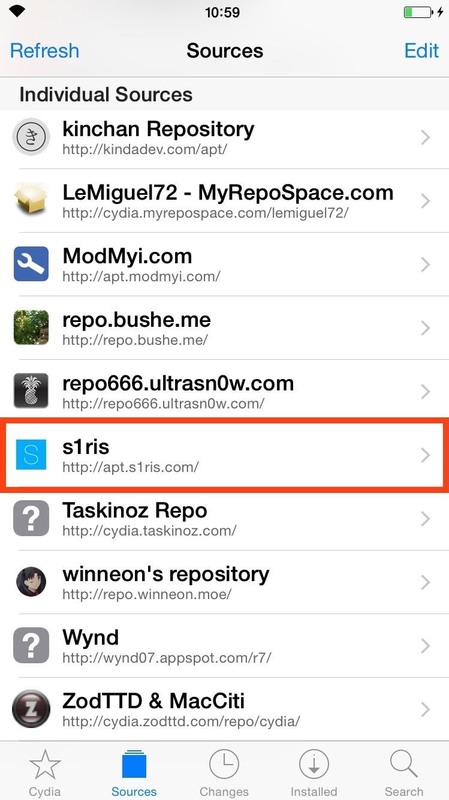 Enter the Cydia app on your jailbroken iPhone and add "http://apt.s1ris.com" to your list of sources. For more info on how to do that, if you don't know how, check out our quick guide. 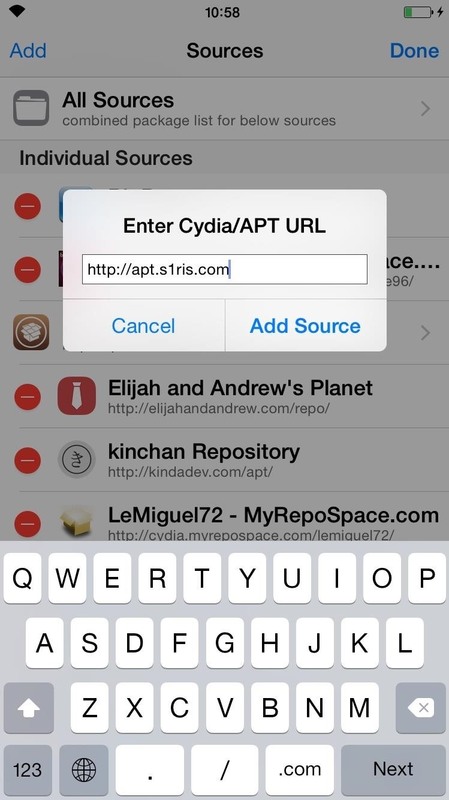 With the source now properly added, select "s1ris" from your source list, then "Tweaks," then "MusicReachability." Install it and reboot your device. There are no settings or preferences to set up once the tweak is installed, so simply start playing music through any music player and activate Reachability with a double-tap of your Home button (aka Touch ID). 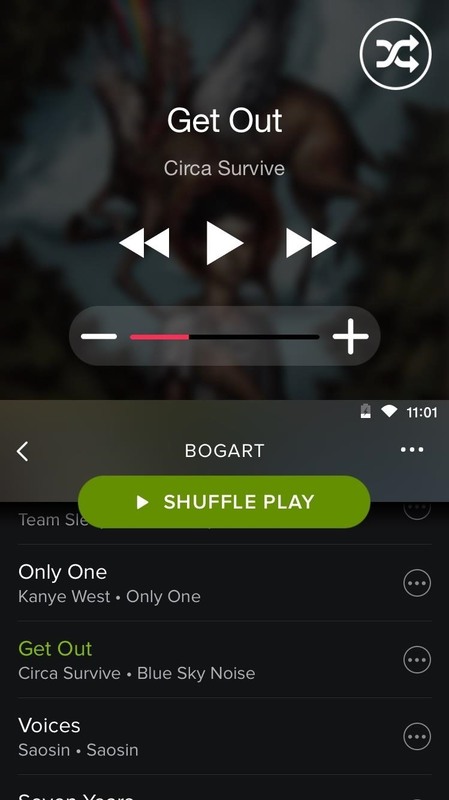 You can use the music controls in your Control Center, but I personally find this method a little more seamless and aesthetically pleasing, especially if the Control Center is being buggy and doesn't want to drag up for some reason. Give MusicReachability a try and keep up with the dev, Andy, on Twitter for news of additional features and improvements. And don't forget to leave us a comment or question below, or catch us on Facebook, Google+, and Twitter.